Dr. Hannes H. Gissurarson, Professor of Politics at the University of Iceland and a member of the RNH Academic Council, will give a lecture at a meeting of the Institute of Public Administration and Politics at the University of Iceland, Tuesday 19 February 2013, 17–18, in the festivities lecture hall of the University, 2nd floor in the main building. The title of the lecture is “Liberty, Crisis and Capitalism”. There, Professor Gissurarson will respond to various criticisms directed at libertarianism (or classical liberalism) and capitalism after the international financial crisis and the fall of the Icelandic banks. During the last two years, no less than five books have been published in Icelandic against libertarianism and capitalism: Eilifdarvelin: uppgjor vid nyfrjalshyggjuna (The Perpetual Motion Machine: a reckoning with neo-liberalism) by Sociology Professor Stefan Olafsson and his comrades; Bankastraeti null (Bank Street Zero) by prize-winning novelist Einar Mar Gudmundsson, one chapter from it being available in English here; a translation of 23 Things They Don’t Tell You About Capitalism by Korean economist Ha-Joon Chang; Kredda i kreppu: frjalshyggjan og moteitrid gegn henni (Dogma in Crisis: the poison of libertarianism and its cure) by Philosophy Professor Stefan Snaevarr, Lillehammer; and Orlagaborgin: brotabrot ur afrekasogu frjalshyggjunnar (City of Destiny: chapters in the story of libertarian achievements) by Medievalist Einar Mar Jonsson, Sorbonne, Paris. The message in those five books has been eagerly transmitted in schools and the media: A series of lectures against libertarianism, based on Eilifdarvelin, were organised by Edda, Center of Excellence (funded by the Icelandic Science Fund), in the autumn of 2010; the authors have been frequent guests on television programmes such as Silfur Egils and Kastljos, both on the government television station; and on radio programmes such as Spegillinn and Vidsja, both on the government radio station. 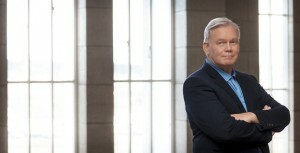 In his lecture, Professor Gissurarson wants to draw attention to the really big news in the first decade of the 21st Century, and then to discuss four propositions from those five tracts for the time: 1) that capitalism is inherently unstable, as the international financial crisis as well as the fall of the Icelandic banks show very clearly; 2) that the libertarian experiment in Iceland since 1991 did fail; 3) that classical liberalism or libertarianism is amoral, soulless, lacking in compassion; 4) that countries in Europe, especially the other four Nordic countries, are better models for Iceland than the fifty United States of America or the ten provinces of Canada. Professor Gissurarson challenges the authors and publishers of those five books and others vocal critics of libertarianism and capitalism to turn up at his lecture and respond to his arguments. 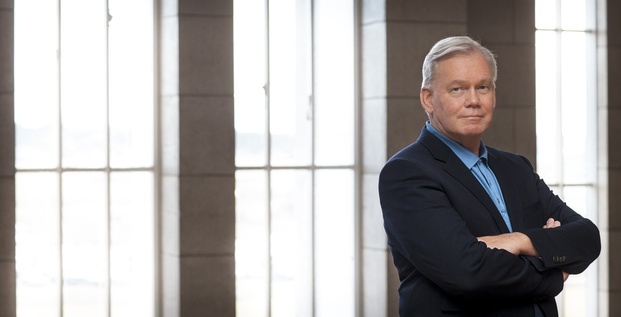 Professor Omar Kristmundsson, chairman of the Politics Department, will chair the meeting. It will be followed by a reception from 18 to 20, in Hama, in front of the Student Book Shop. While the meeting is held by the Institute of Public Administration and Politics, RNH promotes and supports this event as a part of its project “Europe, Iceland and the Future of Capitalism”, in cooperation with AECR, the Alliance of European Conservatives and Reformists. Answers by Hannes H. Gissurarson to questions posed by a Polish magazine in early 2013 on the Icelandic crisis can be read in English here; a Wall Street Journal article 24 April 2012 on the court case against former Prime Minister Geir Haarde is here; a Wall Street Journal article 11 April 2011 about the second referendum on the Icesave dispute is here; A Wall Street Journal article 8 March 2010 about the first referendum on the Icesave dispute is here; a Wall Street Journal article 7 January 2010 about Iceland’s refusal to bail out the banks is here. A 2009 interview with Hannes H. Gissurarson in the left-wing English-language Reykjavik magazine Grapevine is here.